Ever google “aluminum in antiperspirant”? It’s kind of scary what problems have been potential linked to clogging your sweat pores with aluminum for decades on end. But let’s be honest… I smell like a the bad end of an onion if I go with out and that’s a little bit of an issue too. While I am a bit crunchy I an not THAT crunchy. So, what’s a girl to do? Make my own! I DON’T stink with it! (Remember to use PURE unadulterated oils for this so you don’t end up putting something else potentially harmful in your body) HERE is more info on my company of choice! Also, I add in 3 drops of Clary Sage, BUT if you are pregnant or plan to be – omit the Clary Sage. It is the one oil that is not wise to use while pregnant until you are in labor or FULL term as it could encourage contractions. 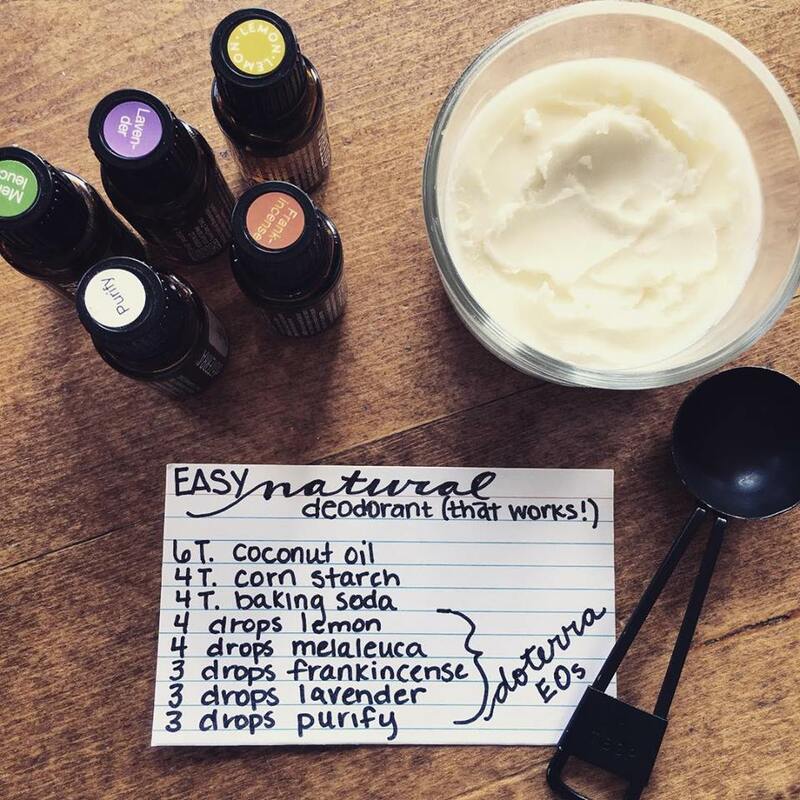 I love the idea of natural diy products. Ive always wanted to find a deodorant recipe! There is so much junk in things we use daily, its a relief when we can find a natural, safe alternative. Especially when we can do it from home! We just found out baby number 6 is on board so thank you for posting what is not safe during pregnancy. I need to start looking into what oils are safe and whats not. Thank you for all that you do for others! God bless you!! That’s so awesome! Congratulations on your new baby! Thank you!! We found out it was twins, were now expecting 2 boys. So we will now have 7 kids, 8 and under. Ive always admired how you raise a large family with so much grace and love, you make it look so simple! !